I'm happy to share with you my new pattern with detailed instructions how to crochet Tiny Puppet. 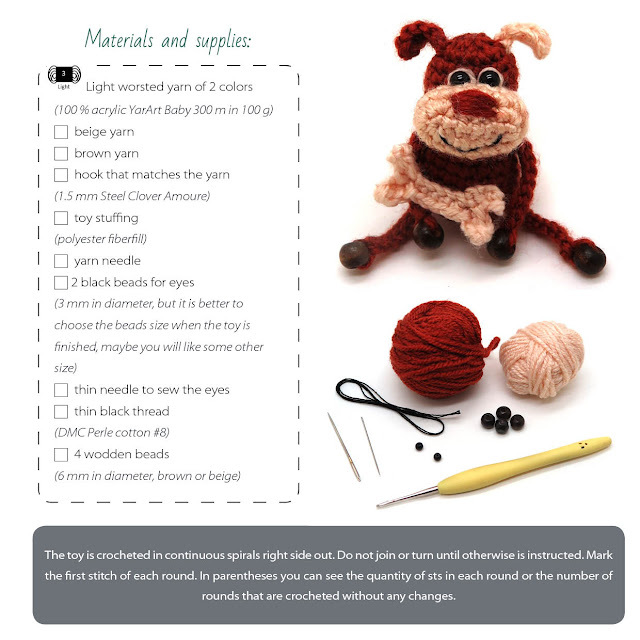 If you have already crocheted my Tiny Sheep or Tiny Monkey you will like this one too! If you have missed those patterns, you can always find them in my blog. If you want to share this pattern please do it as a link to my blog. 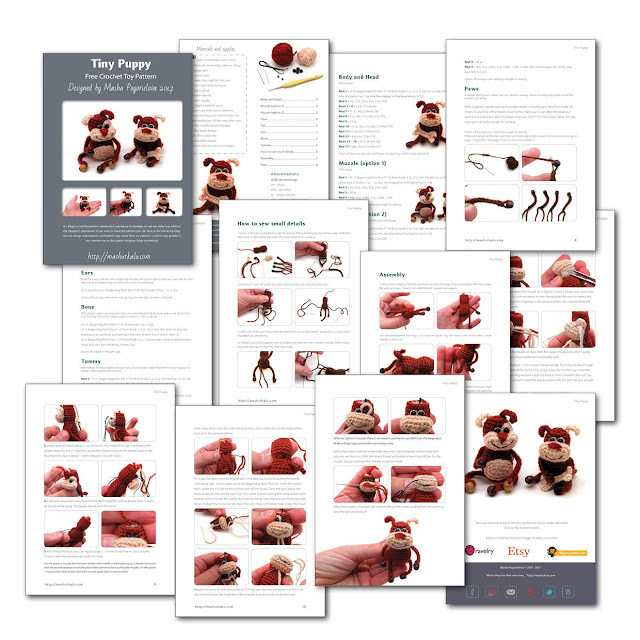 And you can sell toys made from any of my patterns. Enjoy crocheting and have a nice day!